Follow me on Instagram for more healthy living ideas. 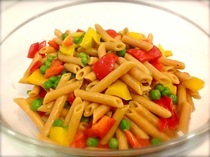 Quick & Easy Dish - Spelt Penne with Olive Paste, Extra Virgin Olive Oil and Mineral Salt. Spelt contains protein and minerals, etc. And unlike its wheat cousin, it is alkaline on the body. Extra Virgin Olive Oil is also alkaline, but I'm hesitant to call it healthy as it's a processed food and not a wholefood. (See also Dr Caldwell Esselstyn's research on the subject of consuming oil). Just watch the salt as the olive paste can be quite salty already. 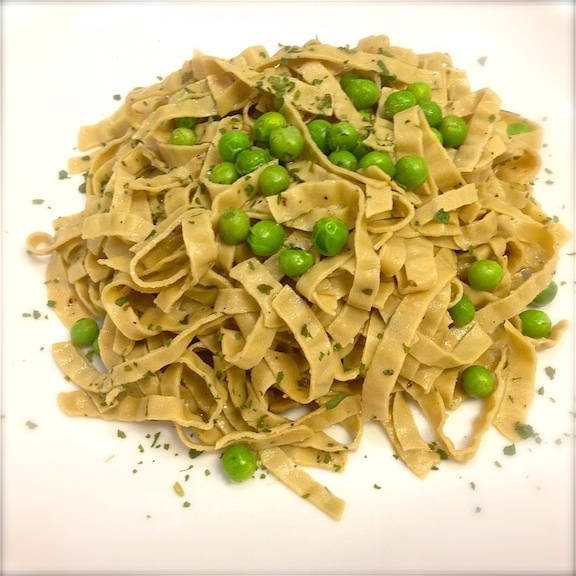 Really Delicious, Healthy and Easy meal. Blackbean Spaghetti with Yellow & Red Peppers. 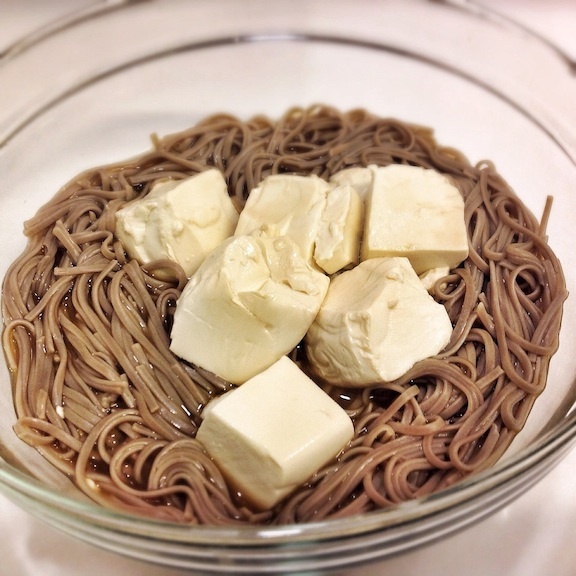 (The spaghetti is made from black beans). Mineral salt and pepper to taste. 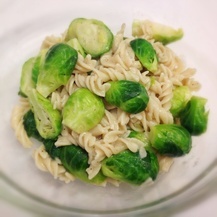 Brown Rice Fusilli with Steamed Crunchy Brussel Sprouts. 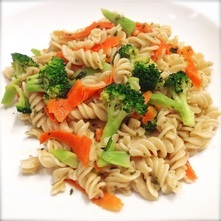 Another Easy, Tasty, and Healthy Meal. 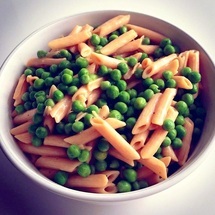 Red Lentil Penne (The penne is made with red lentils). Soak Wakame in cold water 10-15 minutes; Cook buckwheat noodles; Mix 1 teaspoon organic ginger power in 400-500ml of boiling water; Pour ginger broth over noodles in bowl; Mix in Wakame. - Voila! ( Noodles are made from brown rice & wakame). Served with grated daikon, grated carrots, & Wakame. 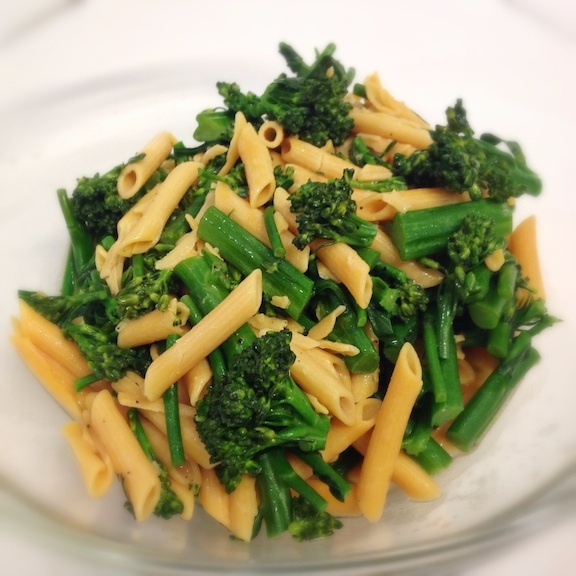 This delicious spaghetti is made from brown rice and spinach. 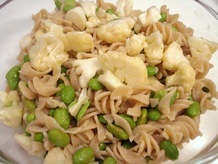 It's healthy, easy and quick to make. Just add a little extra virgin olive oil and mineral salt to taste. 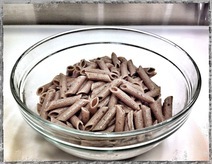 Whole Wheat Penne Pasta with Tomato Sauce. So Simple, So Tasty! 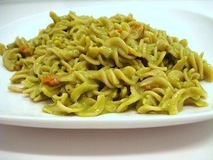 Vegan, Fat-Free, Nut-Free, Gluten-Free Pesto Sauce with Brown Rice Pasta. Pesto Sauce - Blend until smooth - (Raw) Zucchini, Garlic, Fresh Basil Leaves, Silken Tofu, Mineral Salt & Pepper. Oven roast cherry tomatoes (no oil).